I don’t know that I would call it “writer’s block”; it’s more like “writer’s laziness.” You see, I have plenty of things to write about, but very little energy to attack them with the literary fervor each one deserves. Therefore, I am going to cut and paste something from a few years ago into a post for today. 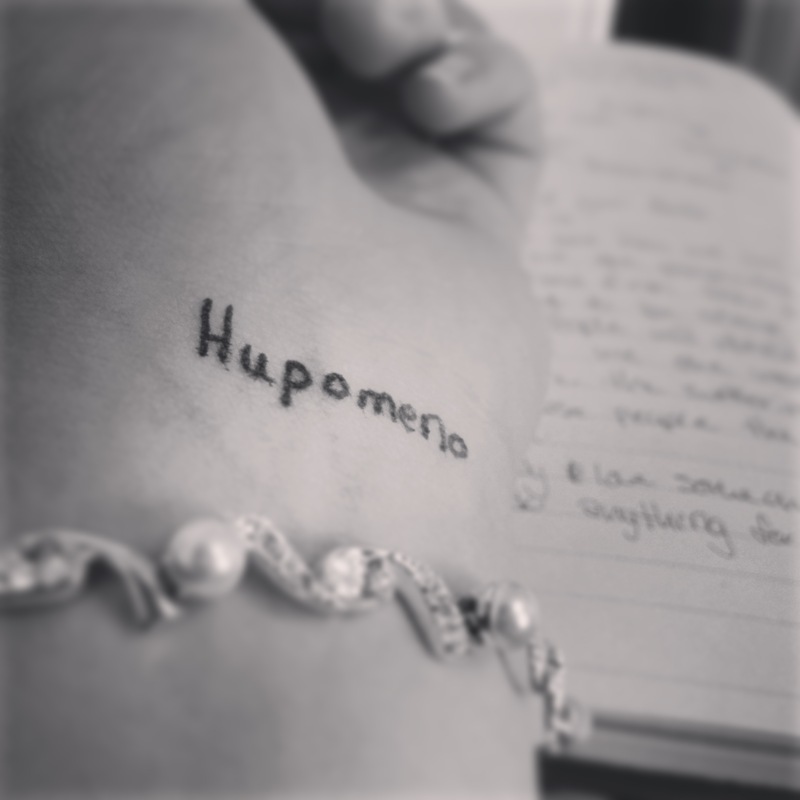 Two minutes later she comes to me with a picture and a word: hupomenō (ὑπομένω). “Write about this,” she said. So how are you holding up? How are you enduring? Sometimes that’s all we can do, isn’t it? Sometimes all we can do when the winds are blowing, when the waves are crashing against us, and when the sand is shifting beneath our feet is to just endure the tempest while holding on for dear life to something…or Someone…unmovable and secure. Whatever you are under right now, don’t give up – honor God with your faithfulness. Whatever you are fighting against, just hold your ground. Whatever road your traveling, even if it seems like it’s never going to end, persevere – don’t give up till you’re home. Just hang in there; God is still God. *Kenneth S. Wuest, Wuest’s Word Studies from the Greek New Testament: For the English Reader (Grand Rapids: Eerdmans, 1997), Ro 12:9. **James Swanson, Dictionary of Biblical Languages with Semantic Domains: Greek (New Testament) (Oak Harbor: Logos Research Systems, Inc., 1997).